through the winter months makes for a perfect (though very busy!) cold weather playground. The beautiful towns of Beechworth and Bright make great bases to explore the region. Beechworth, an historic village at the gateway of the Alps, is a pretty town with wide tree-lined streets, historic buildings, great food and eclectic shopping options. The Beechworth Bakery and Beechworth Sweet Company are on our list of must visits, particularly if you have a sweet tooth traveling with you. The Bridge Road Brewers is a must stop for home baked pretzels and craft beers. If you still have room, the Milawa Cheese Company in Milawa makes farmhouse cheeses inspired by European methods on site and serves a beautiful range of local produce to eat in or take away and is the perfect place to stock up of cheese, food and wine. 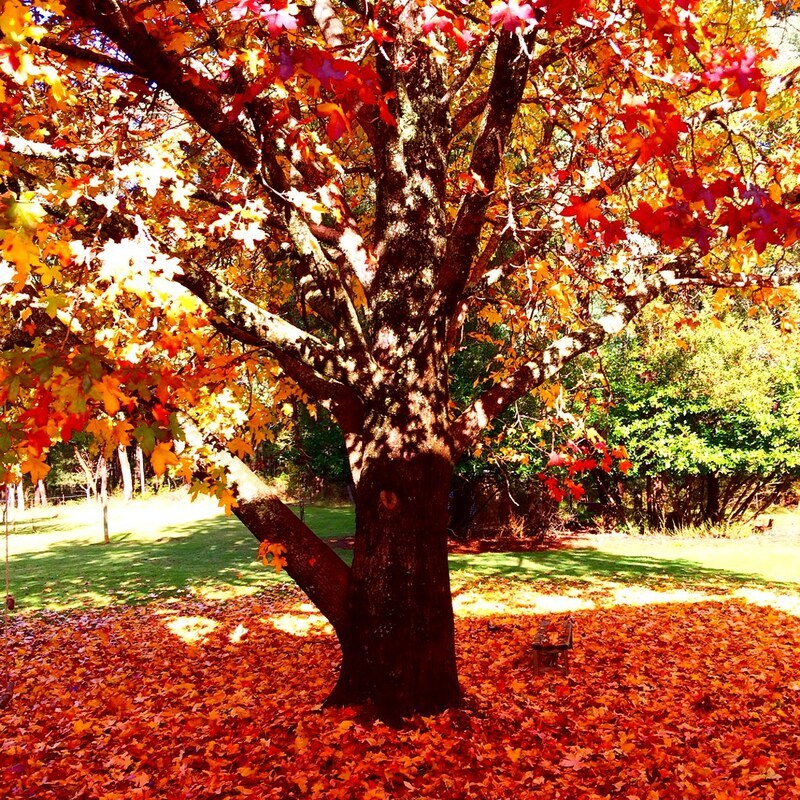 The town of Bright on the Ovens River is a picturesque location, famed for its stunning autumn colors. Those who are a little more active will find numerous hiking trails and mountains to climb in the area. One of our favorites is the Mount Buffalo National Park which has over 90 km of walking tracks, with native Australian fauna and spectacular scenery including waterfalls, creeks, lakes and sheer cliffs (perfect for hand-gliding and rock climbing). There are so many places to stay in the region, we recommend renting a private house or villa with a cosy fireplace to use as a base for your stay. ELE tip- it can get very cold on the mountains at all times of the year so remember to take plenty of warm clothes! stayz.com.au has a huge range of options for all budgets and tastes (search under Victoria Wine and High Country). Absolutely breathtaking pictures! How does one become a part of the ELE team? If this is a regularly scheduled trip, I would like to put in an application for membership! 🙂 Soooooo beautiful.